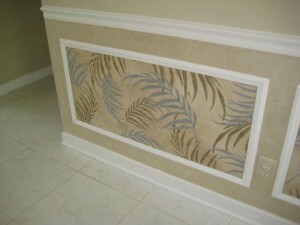 This plaster stencil design brings a bit of the tropics in “raised plaster” in to your home. It’s a single stencil measuring 15″ x 7″ and is a quick one to complete. 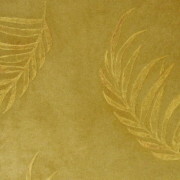 Remember that these stencils can also be used with paint. 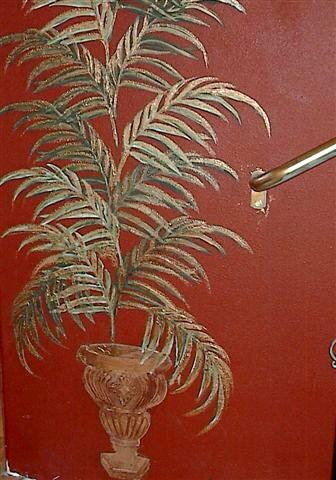 Try stenciling one or two in paint in tones of pale greens on the wall first, then off-set another plaster leaf in raised plaster for an awesome look! 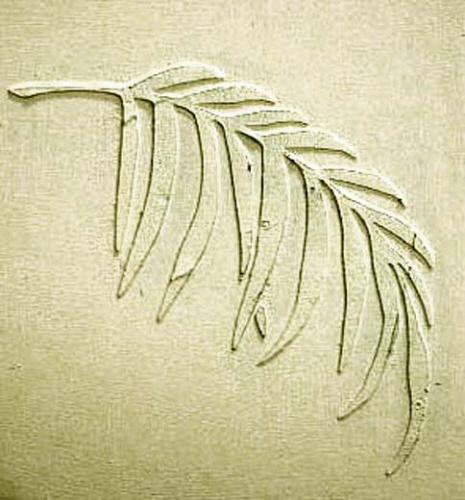 Joan Gross used this stencil to create a full palm plant! Unbelievable and completely creative! 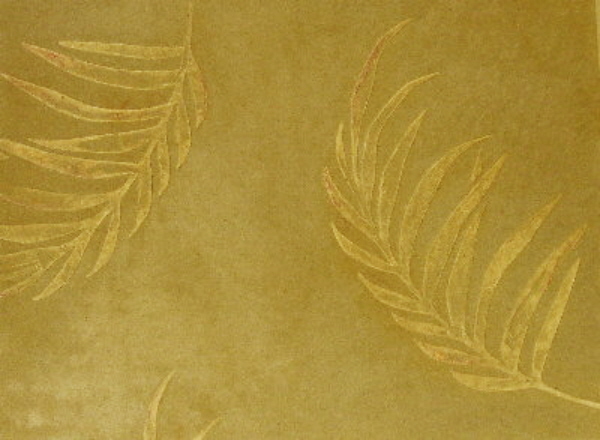 And Donna Phelps from the Sarasota School of Faux Finishes creates a luscious wallpaper effect by randomly placing the leaf stencil over the wall in various positions. Any singular stencil design works well as a wallpaper pattern by simply turning the stencil in a different direction each time you repeat it. 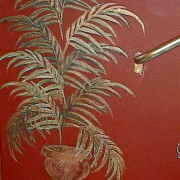 Faux finish artist Marsha Fox used this palm leaf stencil on wall panels in her clients home. They loved it!